1. Preheat oven to 450°. In large plastic bag or bowl, add all ingredients, except milk. Close bag and shake, or toss in bowl, until potatoes are evenly coated. In 13 x 9-inch baking or roasting pan, arrange potatoes; discard bag. 2. 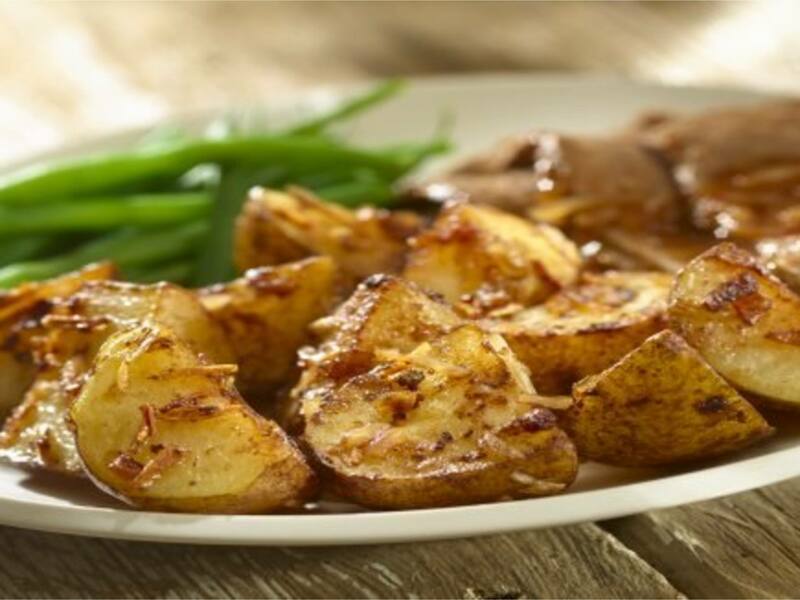 Bake, stirring occasionally, 40 minutes or until potatoes are tender and golden brown. Turn potatoes into large bowl. Mash potatoes. Stir in hot milk.